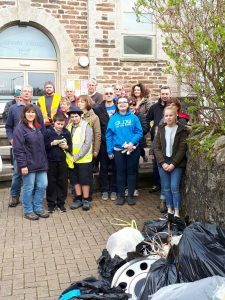 Saturday 6 April saw Council and residents join together to participate in the Great British Spring Clean with an event in Lanner. Leaving from Lanner Village Hall a cheerful and determined group set off armed with picking sticks and plenty of sacks to fill. 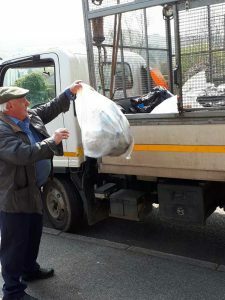 Most areas of the parish were covered and resulted in a huge pile of rubbish and recycling which was then collected by Cornwall Council waste services. Everyone was then ready for a hot cup of tea and light refreshments naturally after a good hand wash! Council Chairman, Cllr Ashley Wood, thanked all participants and commented that he was delighted that the community had been able to participate the national initiative. The sterling efforts meant the parish was a cleaner place to live and work. Many of the volunteers expressed a desire to make this a regular event and Council will consider this at a future meeting.